Solvent extracted jasmine flower sambac wax from India. Species: Jasminum sambac. Family: Oleaceae. 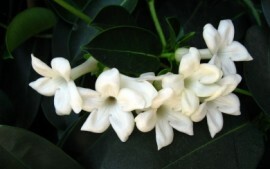 Aeracuras' jasmine sambac wax has strong aroma; Dark orange brown in color; Adds a smooth texture to soap.